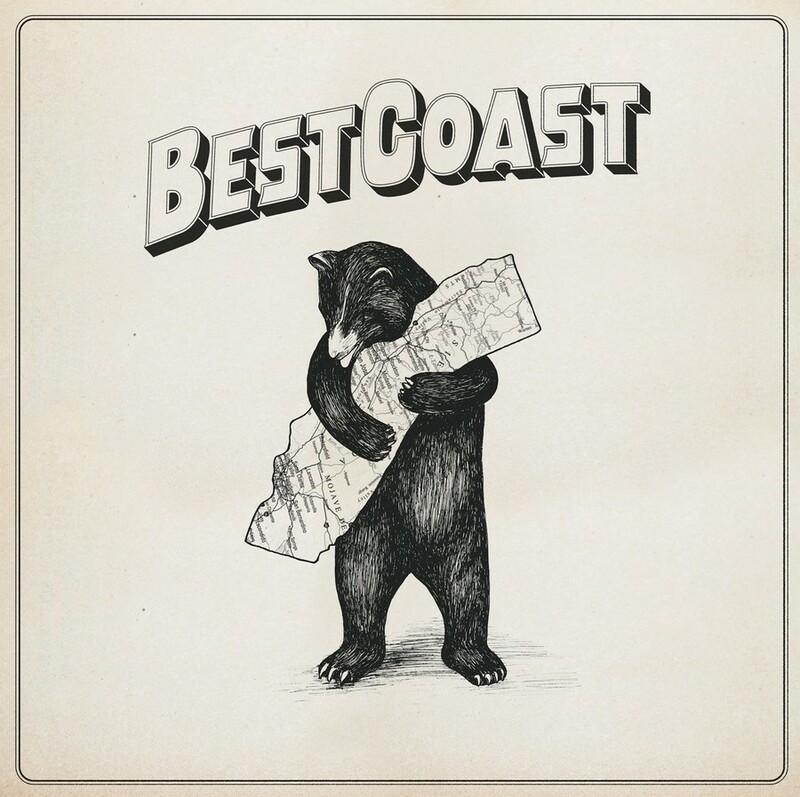 New Best Coast album is a polished, more mature work. As ninth week kicks off with blue skies, breezy temperatures in the low 70s, and plenty of sunshine, summer seems just around the corner. Suddenly the idea of spending a Sunday afternoon at the Point, sunbathing and wading knee-deep into the still water of Lake Michigan seems much better than writing that Sosc paper. And the idea of dropping $9.99 on an album that seems to encapsulate all things summer — from lyrics crooning over “the ocean, the babes, the sun, and the waves” paired with a fizzling, lighthearted eclectic guitar melody— seems even better. At just over half an hour long, Best Coast’s second album simply can’t afford to lag. The Only Place opens up with its title track, an irresistible ode to the Golden State and all that it has to offer. Elements of the band’s first album Crazy for You, released in 2010, shine through as front woman Bethany Consentino deploys her usual “fun in the sun” lyrics, accompanied by high-tempo instrumentals courtesy of the band’s second member, Bobb Bruno. The sound is delightfully familiar, though noticeably more polished. The fuzzy, adolescent garage-style pop that made Crazy for You so lovable has evolved into something cleaner and undeniably more mature. It’s richer and more dynamic, though the warm sound of almost-tangible golden California sunshine is still there, boasting the effortless ability to transport its listeners over to the endless summer of the West Coast. The album’s next song, “Last Year,” is a retrospective look at Consentino’s past: “I used to wake up in the morning and reach for that bottle of glass/but I don’t do that any more, kick my habits out the front door,” she slowly croons, referencing personal themes of alcoholism and addiction. While the guitar work is more subdued than in Crazy for You, it adds a weightiness to the mood of the music that never appeared in the previous album. The pace of Consentino’s singing slows from a peppy cheer to a steep drawl, and her confession is as deliberate as it is seductive. Glittering oceans, endless sunshine, and the wild, natural beauty of California and its inhabitants — all idols of the band’s first album — no longer keep Consentino afloat. Rather, these themes now act as a sort of prison in their idealism. While the tempo of the music does transform from song to song, no doubt in favor of the band’s rapidly expanding and developing sound, each track is rooted in a sort of world-weariness. Tracks such as “How They Want me to Be” and “Dreaming My Life Away” look back upon the airy, effervescent sound with which the band staked its claim to fame two years prior, but flip the function of the reverie on its head by subjecting it to more intense lyrics, layers of added instrumentals, and cleaner editing. Consentino reveals her maturing self-understanding and the band demonstrates its musical talent, sounding more controlled and polished. “Up All Night,” the eleventh and last track of The Only Place, adds a nice wrap up to the album, as it echoes some of the melody of the opening track. But, by the end of the work, sunny California exultation is almost entirely bled out of the album (save for the track just prior, “Let’s Go Home,” which is a disillusioned plea for a return to the sunshine state). The Only Place closes with an insomniac’s plea for rest and a dose of sanity after a tough break up: “I don’t know what day it is/ Because I’ve been up all night/ Oh well now all I wish I could see/ Is you and me”. While fans of the lighthearted, easygoing familiarity of Best Coast’s debut album might find some dissatisfaction with the new album’s changing forecast, The Only Place nevertheless reveals the band’s growing stylistic strides. Hopefully more blue skies are on Consentino’s horizon.